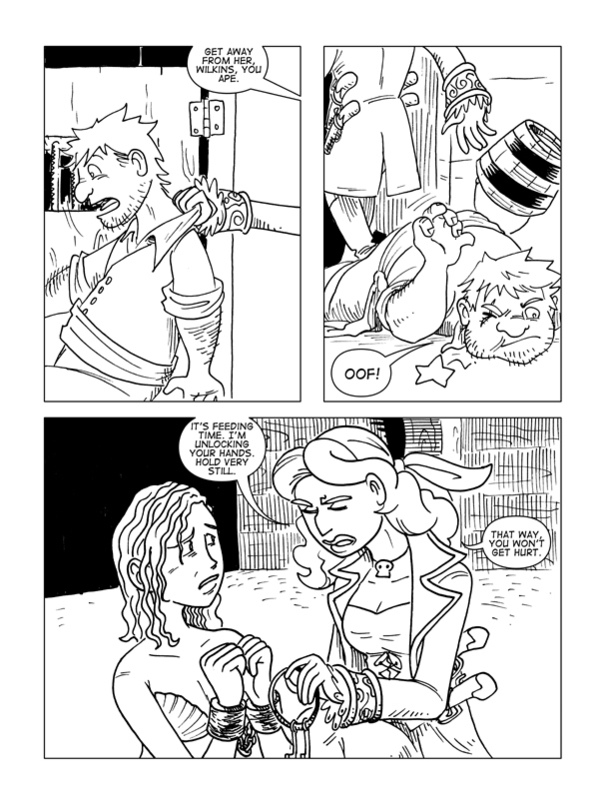 The Tides That Bind, Page 25 – Catbeard the Pirate! The mysterious woman from Isla Gallinas Repugnantes returns! Check back tomorrow for a bonus IndieGoGo reward comic! Sorry this one’s so late!